Blogging has been great, but I’m quite bored of it now, and don’t think it’s got much use in a country and world that seems to have gone more polarised and fragmented. That seemed quite well summed up by an article I just read claiming a mural of Trump and Putin kissing was homophobic! I started to give up when Avatar was called white racism, when I’d left the cinema thinking it was racist against whites! British liberals including women and gays under the rainbow umbrella hate me because I criticise women/gays-hating Muslims, and their worship of a prophet who had a single-figures bride, resulting in many children being imprisoned in brothels; including environmentalists who hate me for not wanting an open borders immigration policy that can only result in more energy use and toxic pollution. And then they wonder why people like me start to support Trump and Putin! In the modern media world anything can be twisted against you. As a heterosexual working-class white man (yes I am to all the homophobic anti-semites who want to think differently; especially those egotistical narcissists who claim me as an admirer; or the bullying grooming leaders who portray me as must be being gay because I don’t act like them!) I know I’m up against it, with the Establishment and lefties supporting everybody against you, and twisting anything good you try to do into bad – such as defending our demographic, country and environment being ‘racist’. The world is full of people using other people’s ideas. All my concepts and artistic creations were original and mine, although as a satirist I used other people’s materials as the inspiration and foil for my work. I thought the Kenco advert might have been inspired by my coffilosophy concept, and have no way of knowing if it was. Maybe they think they have the right, after I appropriated adverts featuring greenYgrey for my greenYgrey concept satirical comedy, which I did hope would elevate it to superstardom! I joked about it though, as Keith Lemon does in his new series, Coming in America. However, I was also influenced by people like Sacha Baron Cohen, who has a new series, Who is America? Ironically, I found Lemon’s funnier than Cohen’s now, although the latter has more humanities and social science interest, in line with my academic studies. Neither have used possibly my best catchphrase yet though: ‘Every morning I have to wake up knowing I could be in the mansion.’ That was after joking I was Hefner’s heir, but then he sold it from under me, leaving me all at sea, as I am now. Having read Guns N’ Roses members Steve, Duff and Slash’s autobiographies, and seeing the A Tale of Two Coreys movie yesterday, I guess Hollywood wouldn’t have been too good for me in my twenties, especially the way I was, trying to live the rock n’ roll dream, but who knows, it seems to have worked for many Brit ex-pats. Many markets also want original work, even including blogging materials as a reason not to accept work; especially markets that are online themselves. I wrote and blogged openly and without big expectations or conditions, in line with the counter-culture ethos of free and open ideas and knowledge, a desire to share my mind with the world, and to support my ’causes’ of human and animal welfare, and the environment; which I think are interlinked. I am a bit disappointed that my ideas and work haven’t propelled me to superstardom, especially when I hear lots of drivel spoken and published. While I may be ending my fading hopes for being a middle-aged model (one of the reasons I included a Stella McCartney character, as I also support her meat-free history; although her fashion products are quite expensive) I thought the revelation that Burberry burn clothes rather than discount them, shows that classism is alive and still accepted – which is unavoidable when you have the royal family (although I have mellowed in my views, as the Queen has done a great job, and most of the others seem nice, but I prefer Andrew’s accuser to him, and Cressida to Meghan!). It would be nice to see the rich elites boycotting Burberry for its class prejudice, as they seem to take a stand against ‘racism’, but I don’t think they will. I say support Blondie’s Pollinator Bee over Burberry, helping to save the environment while also taking a stand against class/wealth prejudice! 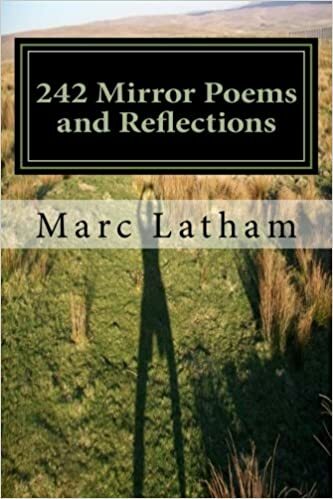 With a couple of hours of battery life, and feeling that he hadn’t created enough for a World Cup Rest Day, and with four days of World Cup double games days on the horizon, Marc Latham clunked out yet another Folding Mirror poem last night. Hi, it’s Howlin’ Werewolf, satirical comedy music correspondent at the greenYgrey inspired by legendary Blues singer Howlin’ Wolf. Marc wrote his poem while watching Blondie at Glastonbury on television, and thought they played a great set. I watched it too, and in addition to the classic old songs, I really liked the uplifting Mile High and the heavy metallish guitar and drum solos. The greenYgrey justified its Glastonbury poster headlining status with a dramatic greatest hits set: producing thunder and lightning storms during the day, rainbows, and then a spectacular sunset in the evening. Musical bands come and go, but the weather sings forever. 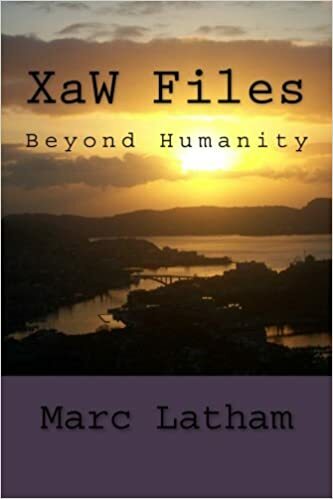 However, Marc Latham’s new mirror poem kind of takes the opposite view, in a greenYgrey kind of way, extolling the virtues of thought in creatures great and small; and how one thought by a small animal such as a mouse is better in that way than all the gigantic unthinking reactions in space. In a greenYgrey way, human thoughts are the best and worse we know, but animals have a lot of nice and nasty ones too; with the former shown by their caring for each other. With Princess Kate Down Under on the royal couple tour of Australia and New Zealand making all the headlines in the Greenygrey world, rock and pop women may have felt forgotten, but they are all princesses in their own way off course. And maybe we had let you slip our minds until seeing The Pretty Reckless and Joan Jett at the Revolver awards. However, Taylor Momsen of The Pretty Reckless has emerged as the primary punky princess in the Greenygrey world after sharing a Folding Mirror poem with the Queen of punky princesses Debbie Harry. Hi, it’s Howlin’ Werewolf, satirical comedy musical correspondent at the Greenygrey inspired by Blues legend Howlin’ Wolf. As Marc Latham’s recent Folding Mirror poem linked the rock generations, Taylor Momsen also played with Joan Jett, legendary guitarist famed for being in The Runaways and her solo hits, including the anthemic I Love Rock n’ Roll. The Runaways were strutting their stuff in California from 1975, a year or two before Blondie emerged on the east coast, but Marc Latham didn’t become aware of them until he got into rock in 1980. In line with Greenygrey theory, they therefore preceded Blondie in real life, but followed them in the ML world. Runaways lead singer Cherie Currie would have been a good candidate for linking the Debbie Harry and Taylor Momsen generations, except she is from the same generation as Debbie Harry. Aah, the older generation still look in rockin’ great shape anyway, with Lita Ford of The Runaways still touring the world kicking out the jams as well, so there’s no need for another generational link. P.S. In line with Greenygrey theory, The Runaways movie showed that bad things can happen in the music and wider world, as well as good, so please don’t go running away just because you feel inspired by this blog! A terrific triple greenYgrey photo-stories and Debbie Harry and Blondie going 3G for Glastonbury Metro edition yesterday made me work overtime to bring you another greenYgrey photos special. It’s great to see our rebranding getting such great media coverage. While gold is good, bananas are great… and fairtrade bananas are fantastic. An article about the value and benefit of buying fairtrade bananas by Amy Dawson had this fantastic photo of Colombian banana farmer Foncho Cantillo in front of a Billboard made from 5,000 real bananas on Clapham Common. Cantillo positioned himself well to make sure grey was included in the greenY photo. Another photo featured Harry Hill, who is of course the human parallel of our very own Harry Silhouetteof-Wolfhowlingonhill, and a fairtrade ambassador. And finally, what a fortnight for Debbie Harry of Blondie fame. First of all she was the top half of Marc Latham’s epic Valentine Folding Mirror poem, and on Wednesday she was awarded the Godlike Genius (2G) award at the NME award ceremony. In a Metro story reported by Jenni McKnight, Debbie Harry also announced that Blondie would be headlining one of the nights at this year’s Glastonbury (1G). Congratulations and Good Luck to Debbie and Blondie, and thanks to the Metro. Where is the Love? The Black Eyed Peas asked in 2003. I was down on the riverbank, but nobody told them, so I spent ten years struggling until being discovered by the Greenygrey last year. The Greenygrey asked the same question an hour ago, and when it found me said I should post some stuff for the humans out there, after I focused almost entirely on voles in my first post… and totally on lovely vole photos. Hi, it’s Love the mixed-up vole presenting the blog for Valentine, as I have love coursing through my name. Needing some quick human material I went over to the fmpoetry website to check for new poems. Billy Joel sang New York State of Mind in 1976, and I think Marc Latham was in such a thought process when he wrote his latest Folding Mirror poem for Valentine’s Day, as it features New York singers Debbie Harry and Taylor Momsen. The poem contains 19 Blondie song titles and two albums in the top half and middle line; and the same amount of The Pretty Reckless music in the bottom half. The former’s singles are written in green ink, the latter’s in blue; all the albums are in orange. Atomic and Rapture are two different songs without a gap between them in the poem. The poem kind of tells a story through the song titles, but it was mainly an exercise in constructing a mirroring poem rather than telling an original or personal story. Some of the lines mirror quite nicely. Marc Latham’s latest Folding Mirror was inspired by seeing The Pretty Reckless in concert a couple of years ago, and thinking lead singer Taylor Momsen reminded him of Debbie Harry, who he’d idolised when Blondie were at their peak around 1978-1981. He didn’t complete it then because he didn’t think British society was ready for it. He now hopes it might be, so he completed it for Valentine’s Day. Debbie Harry was about twenty years older than Marc, and Taylor Momsen is about twenty years younger, and both hail from New York, New York. It was so good they named it twice, and it produced two great rock chicks. Moreover, the missing link between the two, from the same generation as Marc, would probably be Madonna (although she’s from Michigan and is seven years older than Marc). As Blondie declined Marc got into rock and metal music, and Guns N’ Roses became his favourite band. Another link is that The Pretty Reckless opened for GnR a few years ago. Although Marc would have loved to see Blondie in their heyday he’s never gone to see them. He never expects to see The Pretty Reckless or meet Taylor Momsen. The poem idea was created instantly, with the generational divide giving Marc the idea of a Folding Mirror poem. He hopes women like Debbie Harry and Taylor Momsen continue to emerge, succeed and live free happy lives. As well as being beautiful and a great singer Debbie Harry was also inspirational, dressing like what some people would consider a stereotypical slutty bimbo, but always proving them wrong by being articulate, and faithful to fellow Blondie bandmate Chris Stein, and nursing him through long-term illness. Marc doesn’t know much about Taylor Momsen, but hopes she continues to rock the music world, and emulates Debbie Harry; although she is of course original and her own person, and The Pretty Reckless are much more rock than Blondie were. The poem contains 19 Blondie song titles and two albums in the top half and middle line; and the same amount of The Pretty Reckless music in the bottom half. The former’s singles are written in green ink, the latter’s in blue; all the albums are in orange. Atomic and Rapture are two different songs without a gap between in the poem. Happy Valentine’s, posting around 11.59 G.M.T. !